Along the Shore presents the story of the Toronto waterfront through the lens of four distinct lakefront districts that continue to retain a direct and immediate connection to Lake Ontario and the natural world. 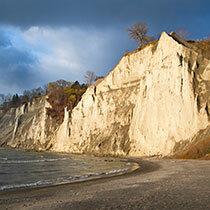 These communities, from east to west, are the Scarborough Bluffs, the Beach, the Island, and the Lakeshore. 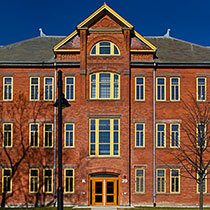 The book was published by ECW Press and released on July 1, 2013. This detailed examination of the history and landscape, the geography and people of each of these waterfront districts reveals a rich waterfront heritage — one that from the second half of the twentieth century has largely gone unrecognized and for the most part is now forgotten. Relying on primary research and on an oral tradition still alive in each of these areas, this book examines the interplay between the natural heritage of the Lake and the people who live, or have lived, “along the shore.” Read more. Despite the advent of the railway era in the mid 1800s, Toronto Harbour remained an active shipping port well into the twentieth century. 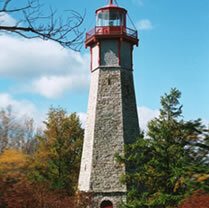 As late as the 1930s, evidence of the many wrecks and disasters that took place east of the port, in front of the Scarborough Bluffs, or Scarborough Highlands as they were then called, could still be seen, strewn along the narrow beach. Here is the story of the wreck of the Alexandria, when she ran aground in a terrific storm off the Scarborough Bluffs on August, 3, 1915, en route from Montreal to Toronto. Read more. Canada’s premier film director Norman Frederick Jewison was born in the Beach in 1926 and was raised overtop his parents’ dry goods store and sub-post office in the 1930s. When he left the district some years later, he took along the many life experiences he had gained there as a child. Here are some of his thoughts, as told to me in an interview in July 2009 when I was preparing this book. Read more. 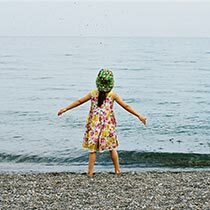 Each of the sections of Along the Shore ― the Scarborough Bluffs, the Beach, the Island, and the Lakeshore ― begins with a chapter entitled “The Nature of the Place.” This chapter contains my thoughts and observations about the innermost character of each of the waterfront districts featured in the manuscript. Here is the opening to the Island chapter “The Nature of the Place.” Read more. 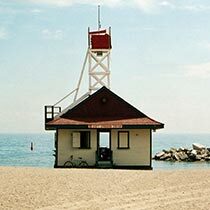 For Torontonians “the Lakeshore” is a name with layered meanings. To many people it may simply mean the water’s edge, sometimes visible, oftentimes not, that is the southern boundary of our metropolis. But “the Lakeshore” can also mean the gritty highway skirting the edge of the Lake, known as Lake Shore Boulevard. Then again “the Lakeshore,” while being a lakefront and a highway, can also be taken to mean a string of former villages and towns that still stretch along the highway for almost six miles beyond the Humber River, from the forgotten district of Humber Bay, on to Mimico, New Toronto, and finally Long Branch, on the east side of Etobicoke Creek. What follows is the story of Gus Ryder, an exceptional Canadian, who lived and worked in the Lakeshore, founded the Lakeshore Swimming Club in 1930, and coached many swimming champions of international renown, including Cliff Lumsdon and Marilyn Bell. Read more.